I considered the contributions of how the drop entered the water and the relative densities of the water and dye to the rate of diffusion. To eliminate some of the effects of the falling of the drop of dye through the water, I decided to do my own experiment in a shallow bowl. I couldn’t use the blue food coloring because it contained something oily that quickly spread to cover the surface of the plate. What I like about this video is that I did the experiment wrong. I clearly plunged the right Q-tip too hard into the right (cold) plate, as seen by the ring of red. 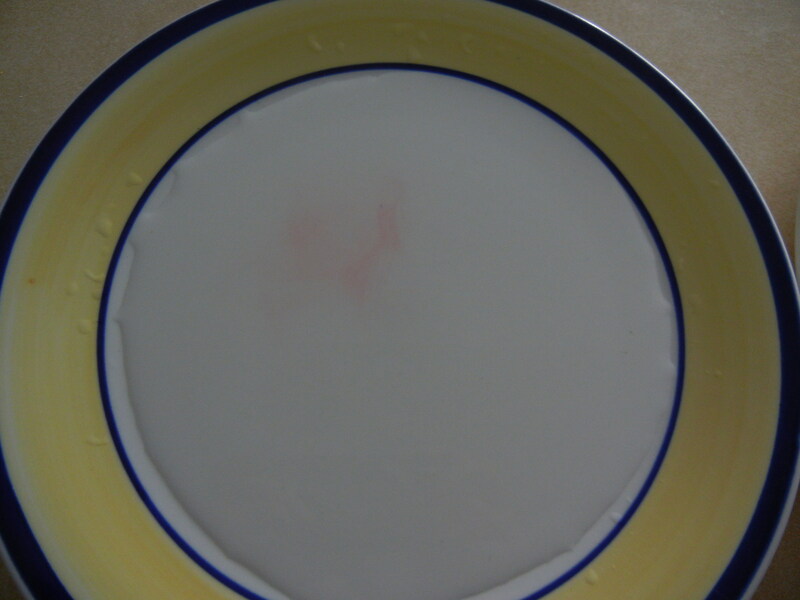 There was evidently more food coloring in the right plate too. However, even so you can see how the meager amount of red food coloring in the left (hot) water spread slowly in tendrils and became less concentrated. 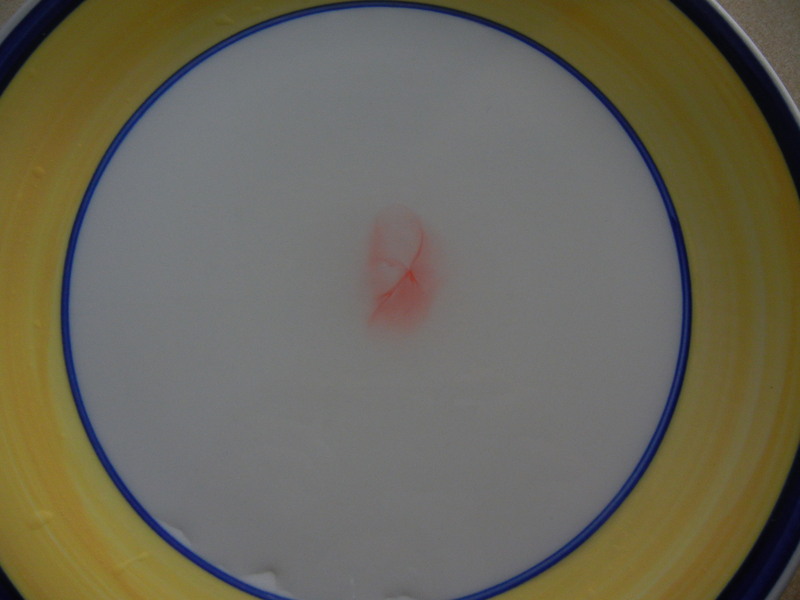 I like doing this in the shallow dish, but in the future I will probably use a wick to transfer the food coloring to the center of the plate or maybe a glass tube that I can slowly withdraw. Still, subtle observations win the day here. By the way, I used these plates so that I could add approximately the same volume and height of water. As another attempt to look at rates of diffusion to build a model of molecular motion, I wonder if wet paper towels would damp out some of the sloshing of the movement from depositing the food coloring but still allow diffusion. We would have to measure the motion of the food coloring over a longer time, however.